Since 1948, Heerema has grown the scope, scale and technical prowess of its operations. In 1948, Heerema started a small construction company near Lake Maracaibo in Venezuela. Heerema specialized in the construction and installation of drilling platforms for the oil industry. In 1956 the company had a breakthrough with a pre-stressed concrete pile design, which proved technically and economically highly successful. In the following years some hundred drilling and production platforms were placed in Lake Maracaibo and in the Caribbean, along with a substantial number of concrete piers, quays and bridges. In the early 1960s Heerema focused on supporting the development of oil and gas fields in the North Sea. This was a formidable challenge: extreme weather conditions and heavy seas posed major problems to the construction and installation activities, particularly during winter. This marked the start of Heerema (the current Heerema Marine Contractors) in the Netherlands. 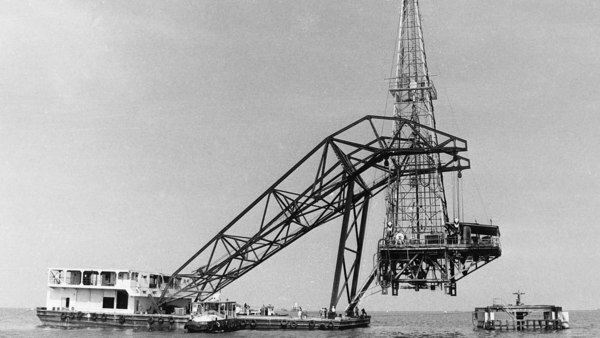 As from 1963, the growing capacity and workability of the Heerema introduced mono-hull crane vessels inspired engineers to design larger modules and jackets, enabling the construction of fewer but heavier units, thereby drastically reducing the man hours offshore. This was very beneficial to the oil companies that Heerema served. The oil and gas fields could produce ‘first-oil’ earlier. Existing crane ships and barges were still quite sensitive to waves and work in the winter months was close to impossible. Heerema solved this problem by designing and building hulls that could be partially submerged. 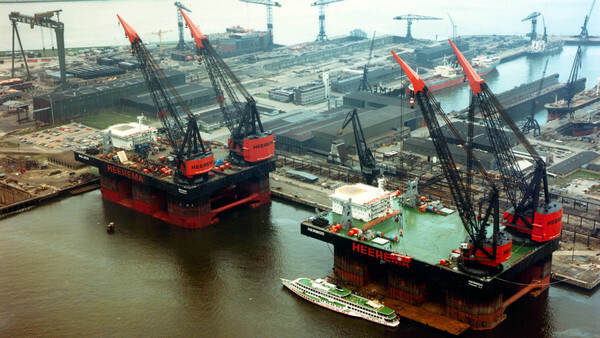 In 1978, Heerema launched two semi-submergible crane vessels (SSCVs), "Balder" and "Hermod". As a result, construction work became more efficient and less sensitive to environmental conditions. In 1979 Heerema acquired a controlling interest in Willbros Group, specialized in onshore pilelay activities. The first years of the 1980s were fruitful. Heerema’s SSCVs were in high demand in the North Sea and offshore Brazil. The mid-1980s were difficult years though, as oil companies postponed investments due to low oil prices. In 1988, Heerema and McDermott, a competitor, decided to join forces and form a joint venture called HeereMac. 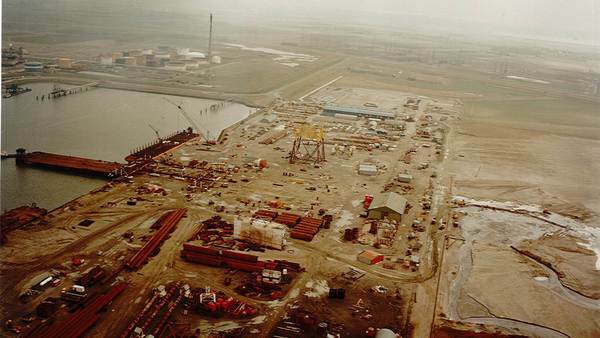 In the early 1980s, Heerema expanded its services to the North Sea oil and gas industry with the fabrication of modules and jackets. For this purpose the fabrication yard in Vlissingen (NL) was acquired (Heerema Havenbedrijf B.V.) and at a later stage fabrication facilities on the isle of Lewis in the UK. In the years that followed, Heerema built up considerable expertise with turn-key or EPIC (Engineering, Procurement, Installation and Construction) contracts, which achieved substantial cost reductions for the company’s clients. Heerema designed, constructed and installed numerous platforms on the Continental Shelf of the North Sea. The company increased its fabrication capacity with the 1990 acquisition of Grootint, one of the four main steel construction companies in the Netherlands, and its subsidiary in Norway (Tønsberg). Grootint specialized in large, complex offshore steel constructions such as jackets and topsides up to 10,000 ton. It also excelled in the construction of bridges and lock-gates. In 1990 Heerema Fabrication Group B.V. was founded, for the purpose of managing all fabrication activities of the Heerema Group. In 1995 Heerema Fabrication Group acquired fabrication facilities in the United Kingdom (Heerema Hartlepool Ltd.). After some years of full ownership of the Willbros onshore pipelay activities, Heerema reduced the interest and finally in 1996 sold the remaining interest. In 1989 a controlling interest in Wijsmuller Transport was acquired and in 1993, Wijsmuller Transport merged with Dock-Express Shipping to form Dockwise. Dockwise became and has remained a global market leader in heavy transport for the offshore and construction industries. 1997 – 2000 The year 1997 was a turning point in the history of the Heerema Group when the Heeremac joint venture was terminated and Heerema acquired the SSCV "Thialf" (ex DB-102) from McDermott. Heerema from then on owned and operated three of the world’s five SSCVs. The increasing industry focus on developing oil and gas fields in water depths up to 3,000 meters led the Heerema Group to acquire INTEC Engineering in 2000 and to transform the SCCV Balder into an advanced deepwater construction vessel (DCV Balder). In 2003 Heerema Havenbedrijf changed its name into Heerema Vlissingen B.V. and Grootint changed its name into Heerema Zwijndrecht B.V. In view of the declining demand for fabrication services related to offshore developments in the North Sea, in 2005, the board of Heerema Fabrication Group decided to close the yard in Tønsberg. At the end of 2006, the Heerema Group and Wilh. Wilhelmsen as shareholders of Dockwise Transport N.V. agreed a buyout of Dockwise by 3i, a global leader in private equity, and funds managed by 3i. The sale was motivated by the fact that both Heerema and Wilh. Wilhelmsen wished to focus on their respective core businesses. In April 2008 INTEC Engineering was acquired by WorleyParsons. The transaction enabled INTEC to accelerate its growth strategy and at the same time secured for Heerema Group companies continuing access to leading engineering and project management services. In addition to the conventional construction, installation and removal activities, the Heerema Group has grown to become a major player in realizing deepwater facilities and sub-sea infrastructure using the Balder equipped with an advanced J-lay system. The investment in the Aegir, a monohull vessel with a large crane, J-lay tower and pipe reeling capability, was triggered by deepwater market developments. Another interesting trend in the industry was the emergence of a sizable platform removal market. In 2011, Heerema Marine Contractors decided to make additional investments in two large new anchor handling and towing tugs. We are committed to build a future that is at least as impressive as our past.